Many will have heard of the Edinburgh International Festival, many may have heard of the Edinburgh Fringe but I suspect few will have heard of the Edinburgh Festival of Politics (FoP). 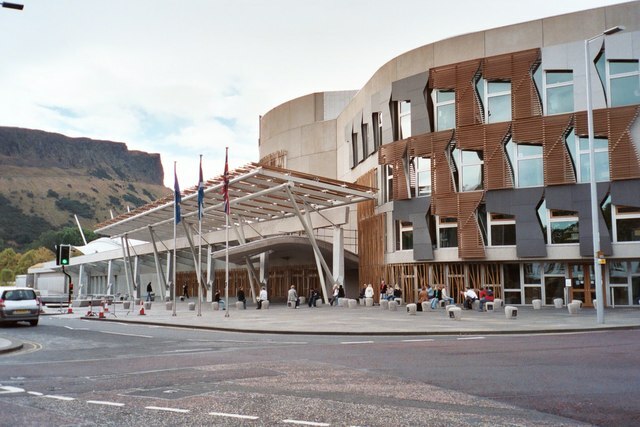 FoP is put on by the Scottish Parliament and is held in the Parliament Building and runs at the same time as the International Festival. This year’s FoP put on ‘shows’ such as Improving the Law in Scotland, impact of Scottish Art on Europe, more abstruse, Wallace and King John – no not the English King John who got trapped in the Wash but John Balliol who are various times showed allegiance to Edward 1 of England and at others fostered the Scottish cause for Independence with the backing of William Wallace (the guy portrayed by Mel Gibson). But these are not my interest in this blog. Here I want to bring out a number of points on today’s event ‘The Sound of Silence – Complacent Scotland, Undemocracy and Unspace’ – a bit of a mouthful but a very good session for all that. Scotland is going to vote for an Independent Scotland in 2014 but apart from being independent will Scotland change. Today’s speakers believe unless there is some form of revolution on democracy the answer is a resounding ‘No’. The speakers were Gerry Hassan, Andy Wightman and the session was chaired by Eileen Reid. Gerry and Andy have both voiced their views in numerous books and papers. Gerry started by recalling the Scottish myth that Scotland is egalitarian, collectivist and democratic and somewhat left of centre. A myth? Gerry considered that Scotland is more unequal than England and that is saying something. Scotland is run by an Edinburgh Elite – beaurocratic corporatism. Andy confirmed that the government in Scotland is a closed society. He provided the statistics that ¾ million young voters didn’t at the last election. Most European countries have local democracy enshrined in their constitution; France has 36,000 communes, Scotland has 32 Local Councils. Communes in Norway levy 25% in local tax of which 12.6% is kept local, 12.4% go to the State; in Scotland all taxes go to the Government which divvies out some to the Local Councils; the local councils provide services to the community in line with Government directives. There is no room for local initiatives to decide on priorities. Our local Community Council in Linlithgow has just peanuts to pay with – ironically the Town Management Group does have money to pay with but is unelected. In Scotland house ownership is with the few – on the Continent in many cases house ownership is with the local cooperatives. Both Andy and Gerry considered that the young and women are still effectively disenfranchised. What can be done apart from revolution? There is no easy solution; Andy dismissed the idea that it would all be better come The Independence – the same elite groups will be still be in control. What is required is for Scots to be less scared, find Space where they can discuss the philosophy and psychology of democracy as a prelude to a quiet revolution to realise the myth and why not start now. The Scottish Government is to be thanked for providing a space for such iconoclastic discussion!